No. 14 probably dates from the mid-eighteenth century. It is a Grade II listed building (List Entry No. 1047345) and is owned by Oxford City Council. In 1772 a survey of every house in the city was taken in consequence of the Mileways Act of 1771. No. 14 was then in the occupation of a Mr Parker, and its frontage measured 5 yards 0 feet 6 inches. At the time of the 1841 census, No. 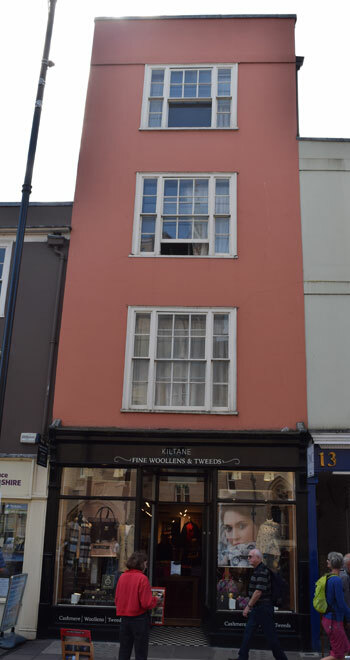 14 was occupied by John Harwood. He was still there in 1851, when at the age of 77 he is described as a bootmaker employing two men. His unmarried daughter Elizabeth lived with him, and they had one servant. By 1861 his son John Harwood junior had taken over the business, and he is described as an employer of 15 men and one woman; by 1881 he had been joined in the business by his own two sons. Harwood Court behind this shop was presumably named after this family. 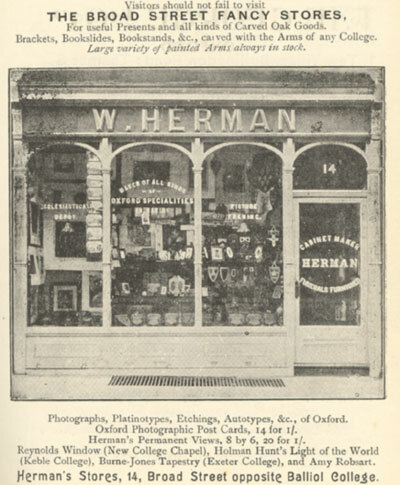 The advertisement below, from Alden’s Oxford Guide for 1906, shows Herman’s Stores here at No. 14. Note how the shop front has changed: the door used to be on the right. 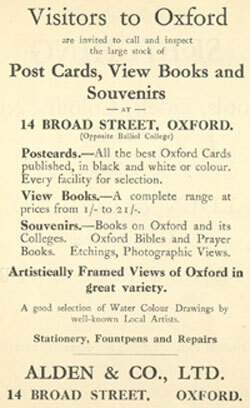 Art & Stationery Co. Ltd.